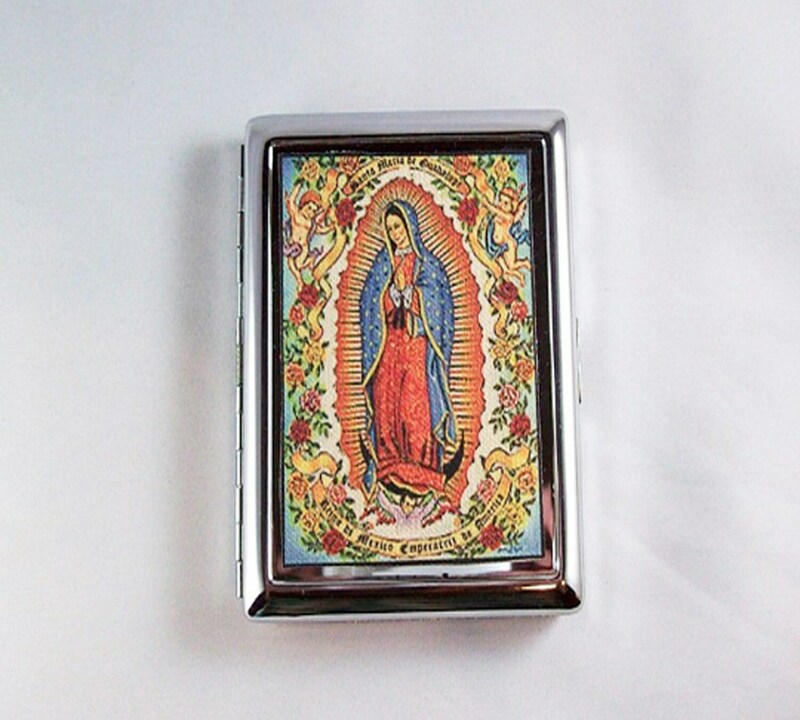 Bring a little luck to your life with this fab stainless steel case featuring a retro image of the wonderful and benevolent Virgin of Guadalupe of Mexico. I make these cases by transferring the image onto lightweight canvas. I then apply the fabric to a brand new stainless steel case and it's good to go. These cases are great for cash, credit cards,IDs as a business card holder or even as a cigarette case. I can also make cases from just about all of the images used on my other products so if you are a fan of retro robots, Mexican wrestlers, old school pin ups or big eyed children then you are in the right place.